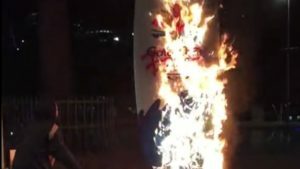 Video has been posted online overnight showing activists torching the Commonwealth Games surfboard countdown clock at South Bank. The group said the attack was in response to, what they described as, Gold Coast police’s “excessive force” at the Indigenous land rights protest on Friday, which saw in five activists arrested and charged. In a statement posted with the video, the arsonists said the Commonwealth’s “time is up” and called for more activists to travel to the Gold Coast and take part in further protests. 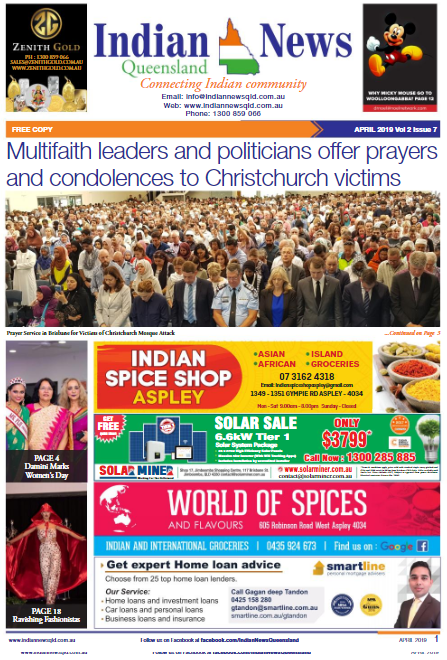 “We watched on social media as the police brutalised and arrested peaceful Stolenwealth Games protestors on the Gold Coast,” the activists’ statement read. “They used excessive force on young people, people with disabilities, and elders. “Allies are urgently needed at Camp Freedom on the last two days of the Commonwealth Games, to join peaceful protests and protect the camp. “Our action is in no way endorsed by Stolenwealth Games organisers and protestors (who have no knowledge of it), but they have our solidarity through this and more practical acts. “This surfboard clock was launched in 2015 on this fake beach to count down 1000 days until the Commonwealth Games. Time is now up for the Commonwealth, the State, and … the police. A Queensland Police Service spokeswoman said officers were aware of the incident. “Police are aware of a wilful damage incident involving a Commonwealth Games countdown clock at the South Bank Parklands. Investigations into the matter have commenced,” police said. The surfboard clock was surrounded by metal barriers and the charred remains wrapped in black plastic on Saturday morning.